The Trump tweet kicked off quite the psyop. That's really clear and can and should be understood! All sorts of claims have been made these past few days to shore up the lie of withdrawal including lots of disinfo surrounding the situation in Manbij. Monday, November 26, 2018: Is The US Pivoting the Fight In Syria Toward A War With Iran? YES! Was the US ever really going to leave? US Syrian Withdrawal- "You can check out anytime you like but you can never leave." No wonder I stay away from Max Blumenthal---- way, way, way, away. In addition to its military personnel, France tolerates radical left and anarchist groups as foreign fighters in the YPG / PKK ranks. YPG / PKK is estimated to have around 50 French citizens. French troops carrying out military activities with YPG / PKK terrorists on the field had played a role in artillery shooting with the YPG / PKK finally seizing the last fortress of DEASH Heccin district in Deyrizor. France, which supports YPG / PKK under the name of anti-DAESH anti-Turkish coalition force, is located in the south of Aynularab (Kobani) in the north of Syria. the oilfield, the Kahar military point, the military base at the Tabka airport and in the vicinity of the Sacu stream in Münbiç. In the southern part of the Kabiba oil field in Deyrizor province, there are French cannons. The building of the oilfield is used as a center by the French. There are French artillery batteries and special forces inside the Kahar oilfield in the east of Mayadin district of Deir-ez-Zor. Protected by US troops in 4 of the 9 military points, the French are able to provide their mobility in other regions with the US military in YPG / PKK protection. Under current circumstances, France does not seem to be able to provide a similar level of support to the YPG / PKK by filling the gap that will arise from the withdrawal of the US from Syria. On December 20, Nathalie Loiseau, State Minister in charge of European Union (EU) affairs, said her country would remain a military in Syria for the time being. "We should not forget that we owe the YPG / PKK," French President Emmanuel Macron said last Sunday. he spoke. All of Manbij has not been taken. I'm not even certain that it has been entered, properly. Though it's very clear SAA is outside of Manbij, as they have been for at least two years now. French forces are still present. Undoubtedly Americans are as well. Which suggests to us the Usrael Kurds are still in place. This is not over yet. And might take a turn for the worse, though I hope that is not the case. It also seems to me there are plenty of wild claims being made.. Yes, I'm aware of the news from SANA... however that could be for domestic consumption. It's just too up in the air to tell at this point. Keep in mind that this could turn bad very quickly. I also have to question the narrative presented by some that SAA and the Usrael backed Kurds are sudden allies and working together? This is strange. Very strange, really. Especially when juxtaposed with the narrative regarding Turkey. Usreal backed Kurds stole 1/3 of Syria. They have prime agricultural land. Most of the water. And most of the oil. They have had a hand in untold death/destruction/displacement in Syria and yet.... they are presented positively. The USrael backed Kurds have allowed for an entire military infrastructure to be installed/constructed/fortified etc., in Syria by the US. So what's with the perception managing narrative? Mixed reports are coming from the city of Manbij in northern Syria, which has been a target for both Turkey and the Syrian regime for months now. The Syrian Army Says It Has Entered the City of Manbij? The Syrian regime’s army says it has entered the city of Manbij, according to state media, after the country’s main Kurdish armed group invited government forces to take control of the northern area and protect it from a threatened Turkish offensive. On Friday, the State-run SANA news agency said that stemming from the complete commitment of the Syrian Army in assuming its responsibilities to impose sovereignty over each inch of the Syrian territory and in response to the calls of locals in Manbij city, the General Command of the Army and Armed Forces announced the entry of the Syrian Arab Army to Manbij city and the hoisting of the Syrian Arab flag. However, an Al Jazeera reporter from Gaziantep on the Turkish border, said residents of Manbij, which lies 30km south of the Turkish border, dispute the Syrian army’s claim. “Manbij residents who we spoken to have said that they have not seen any sign of Syrian forces in their city but we know that Syrian government troops have already been on the outskirts of the city, where they were part of the International Coalition fighting the Islamic State (ISIS),” he said. I mentioned the fact that SAA has been stationed outside of Manbij for two years now..
On Thursday, the Manbij Military Council said in a statement that defending the town and countering Turkey's "invasion plan" were among its objectives. It had therefore "agreed with Russia to hand over villages on the frontline with Euphrates Shield... to the border guards of the Syrian state", the statement added. the Manbij Military Council, working through Russia and the Syrian regime, seemingly brokered a deal to allow for Syrian regime and Russian elements to enter towns west of Manbij. But even these claims are shaky at best- Therefore the entire narrative of SAA being present outside of Manbij is questionable. Now as then. In addition, a resident of Manbij who spoke to The Associated Press from the town on condition of anonymity said there was no sign of government troops. Major Yousef Hammoud, the military spokesman for the National Army has denied the entry of the regime’s forces into the city of Manbij, accusing the regime of lying. What happened, he said in a statement to Orient.net, was that the regime had brought military reinforcements the area of al-Taeh, which is already under regime control, and about 16 km away from Manbij. Inside the city, the Syrian regime flag was raised by some PKK members on one official building, Hammoud explained. The spokesperson for the Syrian Democratic Forces (SDF), Cihan Ahmed, denied media reports attributed to them welcoming the entry of the Syrian army to Manbij. Media reports had said earlier that the SDF support the entry of the Syrian regime’s army to Manbij in order to maintain Syria, and attributed this position to the SDF spokesperson Cihan Ahmed. “We support the entry of the Syrian army into Manbij, in order to preserve Syria,” Ahmed was quoted as saying. Ahmad, however, denied unequivocally in a statement to Russia Today these media reports and said that the reports are “totally untrue”. On Friday, the main Turkish-backed Syrian rebel force said that its convoys, along with Turkish forces, were moving towards the frontlines with the Syrian town of Manbij, in “full readiness… to start military operations to liberate the town,” according to The Daily Star. “In the current situation, we are still supporting the integrity of Syrian soil. These areas belong to Syria. 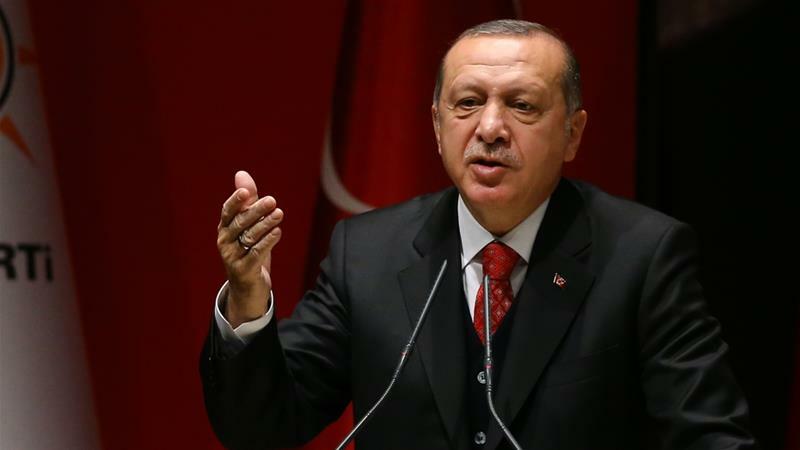 Once the terrorist organizations leave the area, we will have nothing left to do there,” President Recep Tayyip Erdogan told reporters after Friday prayers in Istanbul. “It’s not just about Manbij, we are aiming to wipe out all terrorist organizations in the region. Our main goal is that the YPG learns the necessary lesson here,” Erdogan said. made it clear because she clearly stated it! Speaking at a news conference in Moscow, she said: "We closely coordinate our views and the implementation of a concrete policy in Syria with our Turkish colleagues, both in foreign policy and in military counter-terrorism operations on the ground,"
Closely coordinating. In implementing concrete policy. With our Turkish colleagues. In other words they are maneuvering. Just like JP's headline is stating. In addition Turkey, Russia and Iran are working on a Syrian constitutional committee and they want to meet again in Astana or Sochi in the new year. Turkey and Russian signed a ceasefire deal in Idlib in northern Syria in September, showing that Turkey and Russia can work closely together on Syrian issues. The Syrian government move to take areas around Manbij is only the beginning of the struggle for eastern Syria. The US had not withdrawn. All of Manbij has not been taken. I'm not even certain that it has been entered, properly. Though it's very clear SAA is outside of Manbij, as they have been for at least two years now. French forces are still present. Undoubtedly Americans are as well. Which suggests to us the Usrael Kurds are still in place. This is not over yet. And might take a turn for the worse, though I hope that is not the case. Yes, I'm aware of the news from SANA... however that could be for domestic consumption. It's just too up in the air to tell at this point. Keep in mind that this could turn bad very quickly. 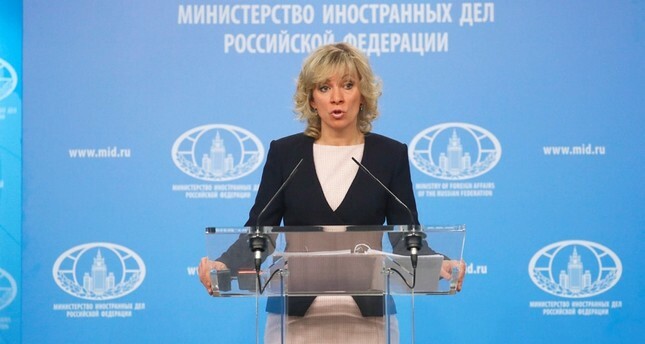 Link: Russia closely coordinates its actions in Syria with Turkey, Russian Foreign Ministry Spokeswoman Maria Zakharova said on Wednesday. Speaking at a news conference in Moscow, she said: "We closely coordinate our views and the implementation of a concrete policy in Syria with our Turkish colleagues, both in foreign policy and in military counter-terrorism operations on the ground," she said. Zakharova also announced that a meeting regarding further efforts to restore the peace in Syria, which will be in the Astana format, will take place in Moscow "in the nearest time." "The three guarantor countries of the Astana format maintain intensive contacts through various channels. Of particular importance are the meetings of heads of state, as well as foreign and defense ministers. Cooperation is carried out both on a bilateral and trilateral basis. 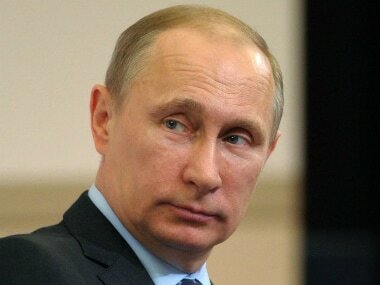 I can say that such contacts are planned in the near future, they will take place in Moscow," she said. Earlier, Foreign Minister Mevlüt Çavuşoğlu had informed about a scheduled visit to Moscow in late December. She also said northern Syrian territories under the control of U.S.-backed People's Protection Units (YPG), PKK affiliate, should be given to the Bashar Assad regime. "The question emerges: who will receive control over the U.S.-held Syrian territories? Obviously, in accordance with international law and taking into consideration what Syria and its people have been through, it should be the Syrian government," Zakharova said. Pointing out that there has been no contact yet between Washington and Damascus on the matter, Zakharova added that it was still unclear whether the U.S. will "continue to conduct air strikes and limited ground military operations." Israel attacks Syria on Christmas Day. Syrian air defenses on Tuesday confronted Israeli missiles above Damascus and downed most of them before reaching their targets, state TV quoted a military source as saying. “Our air defenses confronted hostile missiles launched by Israeli war planes from above the Lebanese territories and downed most of them before reaching their targets,” the military source said. An arms depot was hit and three soldiers were injured due to the attack. Reports on Arab social media claim Israeli Air Force jets returned to carry out further attacks in Damascus on Tuesday night after an earlier round of strikes. IDF Spokesperson Unit said that Israeli air defense systems were engaged against a Syrian missile, no casualties and no property damages were reported. MOSCOW, December 25. /TASS/. Syria’s air defense units have repelled an air strike on western outskirts of the capital Damascus, the governmental TV channel, Syria, reported on Tuesday night. According to the channel’s sources, the attack originated from the Lebanese airspace. The SANA news agency reported that "Syrian air defenses intercepted on Tuesday hostile targets over the space of Damascus western countryside, downing a number of them." According to the agency, at least three Syrian servicemen were injured in the attack. Earlier, the Al Hadath TV channel reported that the strike was performed by Israeli planes and targeted Iranian military facilities and warehouses in southern and western suburbs of Damascus. The latest air strike on Syria was performed by Israel on November 29. It targeted the suburban region of Al Kiswah west of Damascus. Meanwhile, the Israeli Defense Forces (IDF) said its aerial defense system was activated in response to an anti-aircraft missile launched from Syria. There were no reports of damage or casualties, the IDF press service said. One off or sustained? We shall see. Recall my asking if Iran, Turkey and Russia were cooperating/coordinating with regard to eastern Syria? With the full knowledge of Damascus? The question and concept of cooperation have been put forth three times- in three different reports here. Reiterated: November 12/2018: Are Turkey & Syria Coordinating Operations In North Eastern Syria? "All this while there is a greater advancement of the Syrian regular army from the south and the Turkish army from the west." Advancing Syrian regular army from the south and Turkish army (regular army) advancing from the west. That was the question posed Friday. It's Monday and the question is still the same. Two fronts to keep the Usreal backed Kurds busy? One from the north west? One coming at them from the south? " Cooperation was my take away from what was occurring. Yes, I do believe that Turkey has troops massed at Syria's border to aid SAA in clearing eastern Syria. The Usreal Kurds can exit the door through which they entered. Iraq. With some assistance. If the Usrael Kurds can be encouraged, successfully, to exit Syria. How can the US/France and friends insist on staying. And who will do all the fighting? Today's Jerusalem Post article.. reports that yes evidence supports the cooperative aspect of Russia, Iran and Turkey. Syria as well. As I'd suspected. Jerusalem Post: All evidence points to these countries cooperating in eastern Syria for now. JP:"as Trump was ramping up to announce he was leaving, the foreign ministers of the three countries met in Geneva and Iranian President Hassan Rouhani went to Turkey. These countries could be on a collision course now in how to partition eastern Syria as the US leaves, but more unites them than divides them"
Let's digress briefly because ostensibly is an interesting word choice. Ostensibly "apparently or purportedly, but perhaps not actually"
However, in recent months (recent years) these three countries have grown increasingly closer. Initially this was because they all opposed the US role in eastern Syria"
Iran and Turkey both slammed Israel this week, and in both countries Israel is viewed as supporting Kurdish aspirations in Syria, which unites Turkey and Iran on this issue. Rouhani said the US was more isolated than ever as it withdraws, but cautioned that “the Zionists” would continue the “US hostile plots against the Iranian nation.” Turkey has responded harshly to Israel recently, with the president, foreign minister and defense ministry slamming Israel. On Tuesday, the Defense Ministry accused Israel of “baseless” claims after Prime Minister Benjamin Netanyahu accused Turkey of massacring Kurds. Iranian diplomats have asserted that Israel loses through the US withdrawing support for Kurdish forces in eastern Syria. Syrian state media and Turkish media have also emphasized opposition to France’s continued role in eastern Syria. Turkey says its operation to push into eastern Syria and clear the border area of YPG is ready. Iran says that it should be at the consent of the Syrian regime. Meanwhile, Russia is selling the S-400 to Ankara. In this triangle each player has leverage. The S-400 deal gives Turkey leverage. Turkey also has a sanctions exemption for trade with Iran, which Iran wants. Iran and Russia also recently held a joint military meeting in Tehran on Monday. The goal of Russia will be to broker a deal as it did in Idlib. The goal of the Syrian regime will be to get back as much of its country as it can, easily and quickly. Turkey’s desire is to take the border area without clashing with the regime. For that to happen, Russia and the Syrian regime must give Turkey permission to use Syria’s airspace, as they have in the past in operations when Turkey led against the YPG in Afrin. All evidence points to these countries cooperating in eastern Syria for now. It is a complex cooperation, but their joint opposition to the US and other mutual economic interests, as well as Turkish and Iranian antipathy for Israel, and concerns about Kurdish autonomy, lend themselves to peaceful discussions, not a new war. The Kurdish groups also know they can’t face all these countries and will need an agreement with someone to protect their areas. TASS : Turkish presidential spokesman said earlier that Ankara "will coordinate its actions east of the Euphrates River with Russia"
I truly hope that Damascus makes no deal with these proxies. It will only result in permanent occupation. Merry Christmas to all who visit here. From near or far? Where ever it is you are. 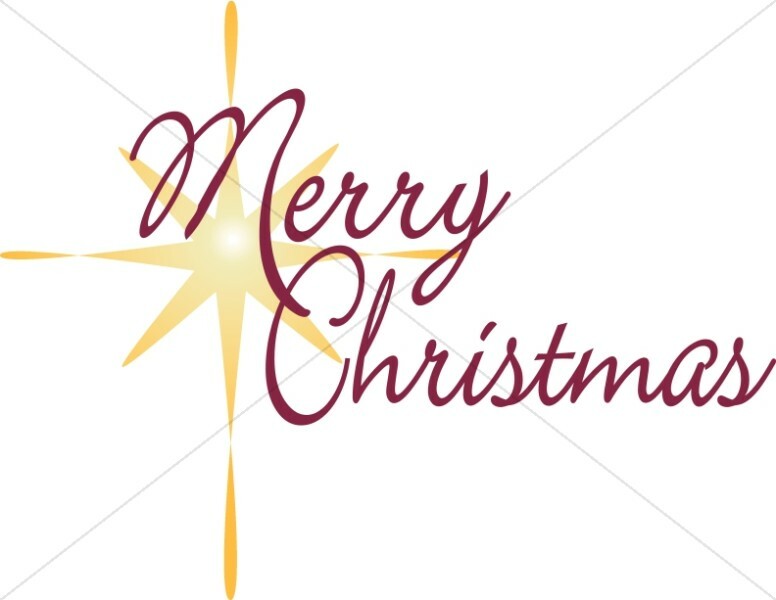 Our wish, my family to you and yours, is for each of you to have a Christmas filled with gratitude for all that we do have- Love. Family. Support from others. (That's you guys and gals too) Appreciation for the people we still have with us. Fond memories of those we have lost. I thank you all for sharing your time with me as well. Enjoy moments shared with family & friends. Most of all, be happy. We do live on a beautiful planet. Keep in mind there are still a whole bunch of great people, everywhere. I've a pie to make. Some lose ends to take care of. Family to visit. US/ Syrian Withdrawal Pt.2: Check Out Time is Long Overdue.. The US to Exit Syria. Or a Turn for the Worse in Syria? Following up on this post: US Syrian Withdrawal- "You can check out anytime you like but you can never leave." "At first we need to see if this decision is genuine or not," he said. ‘The American decision was referring us to a delay of between 60 and 100 days so let is wait and see if this decision is being implemented genuinely." The Syrian diplomat said announcements of troops withdrawals from other countries, including Iraq, were made during the previous administrations, but US forces are still there. 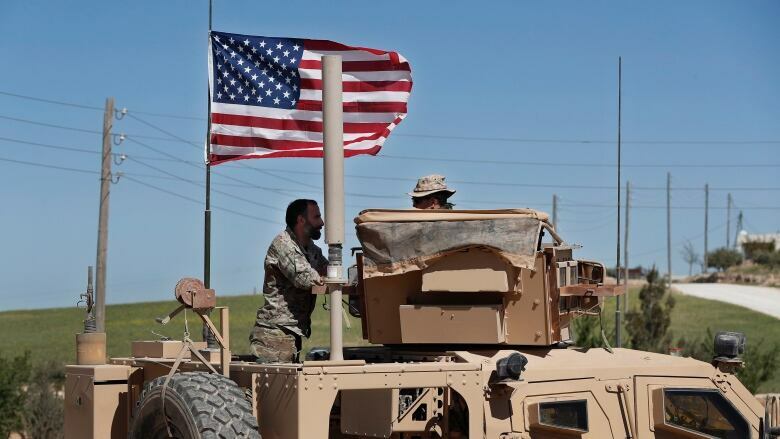 A US-led coalition convoy of 150 trucks of troops and equipment has been forwarded to regions controlled by the Washington-backed militias in Northeastern Syria after President Donald Trump called for troops pullout from Syria, a Turkish state-owned daily reported on Sunday. Yeni Safak claimed that 150 trucks, carrying arms and ammunition, have been sent by the US army to Kurdistan's People Protection Units (PKK), a military branch of the Democratic Unity Party in Northeastern Syria. The daily went on to say that a sum of 500 US' trucks of arms and ammunitions have been forwarded to bases of the PKK and other People's Protection Units during the past week. The London-based pro-opposition Syrian Observatory for Human Rights (SOHR) said earlier this month that the US-led coalition forwarded a sum of 150 vehicles carrying military-logistic equipment to the SDF-held regions on the Eastern bank of the Euphrates River via Simalka passageway at Iraq-Syria border. Divergent sources confirming the US continues to heavily supply the Kurdish militias..
Thousands of Syrian government forces have reached the west of the Euphrates River, spreading fear among some parts of the local population, the Syrian Observatory for Human Rights (SOHR) said. Maybe a deal? Maybe not? If there was a deal why might the Kurdish atrocity committers be 'concerned'? Perhaps something else is at play, entirely, with the movement of troops on the SAA and the Turkish side of the equation? Go back to this post" Are Turkey & Syria Coordinating Operations In North Eastern Syria? I posed this question not once, but twice. "That was the question posed Friday. It's Monday and the question is still the same. 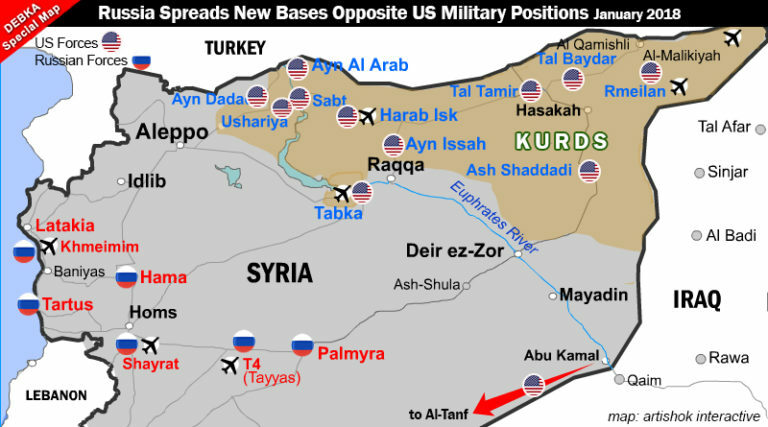 Two fronts to keep the Usrael backed Kurds busy? One from the north west? One coming at them from the south?" It is entirely possible. The enemy of my enemy can very easily be my friend. 6- Trump claims 2000 troops to be withdrawn. What about all the others? This are great points, as always, and I appreciate you puttig all this in a numbered list. One thing that I believe is missing, not just here but amongst others writing, is that the US is only pulling out 2,000 troops despite Army Major General James Jarrad admitting that there was a total of 4,000 troops in Syria; so what happened to the other 2,000 (remember the US originally said there were only 500 there)? A senior U.S. military commander said Tuesday that 4,000 American troops are on the ground in Syria, a figure far greater than the 503 personnel the Trump administration says are deployed there. More then a year ago the occupying proxy forces of Usrael admitted there were 4,000 troops present in Syria. Most of them are Americans. Undoubtedly additional forces have been sent in since that post of more then a year ago. Including a pile of US troops poured into Manbij. Covered April 1/2018: FSA Behind Manbij Bomb Resulting in Two Special Ops Casualties?? The United States is reportedly sending additional troops to the northern Syrian town of Manbij where Turkey threatens to attack soon. At that time the number bandied about was 300 additional troops. The media isn't mentioning this fact. "We should be satisfied with the development of Russian-Turkish relations in the economy and security spheres. Although our interests do not coincide sometimes, we do find compromise solutions on resolving the Syrian crisis. We respect the Turkish people’s national interests in this direction. We see that our Turkish partners are likewise ready to seek a compromise and reach that compromise with us for the good of the situation in Syria, for the good of the fight against terrorism and for the benefit of strengthening our relations," the Russian leader said. Putin noted that ties between Russia and Turkey were expanding. "In spite of the fact that Turkey is a NATO member-country and honors its commitments as a member of the alliance, it pursues an independent foreign policy." "We appreciate that very much, this creates the conditions for predictability and stability of our relations," he stressed. Again, I ask for the third time now are Turkey, Iran and Syria coordinating in the east with the help of Russia? 5 Indicators the US Will Escalate Soon in Syria. 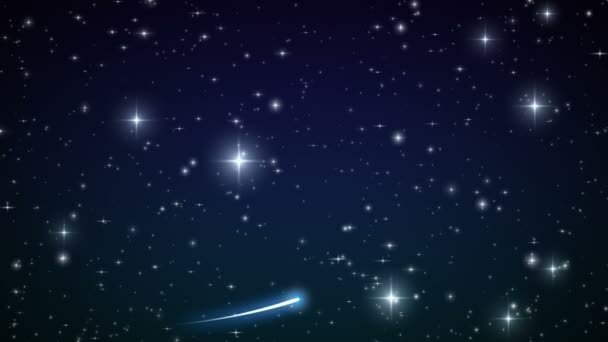 And Beyond. Is The US Pivoting the Fight In Syria Toward A War With Iran? YES! Gallier2 left us some updates- check the links. Argh. Just lost a half an hour comment that I was writing about todays gilet jaune gathering. So I will make it short then as I don't have the mood to start anew. The GJ gatherd in Montmartre (around the Sacré-Cœur) instead and started their march towards the posher part of the capital. At the end of the day they massively arrived at Champs-Elysées were the police was overwhelmed. Here the "official" instagram where you can watch a lot of videos of todays gatherings. In the rest of France also strong presence everywhere (also here were I live, there are several roundabouts with gilet jaunes, with improvised sheds and fire places. I've heard on the radio that there were also yellow vest gatherings in Canada (Ottawa, Calgary and Vancouver specifically)? Is that true? "I've heard on the radio that there were also yellow vest gatherings in Canada (Ottawa, Calgary and Vancouver specifically)? Is that true?" And only for the fun of it. It's interesting to observe how quiet the US and UN are on the state sponsored crack down against France's protestors- I'm sensing that big old double standard at play. 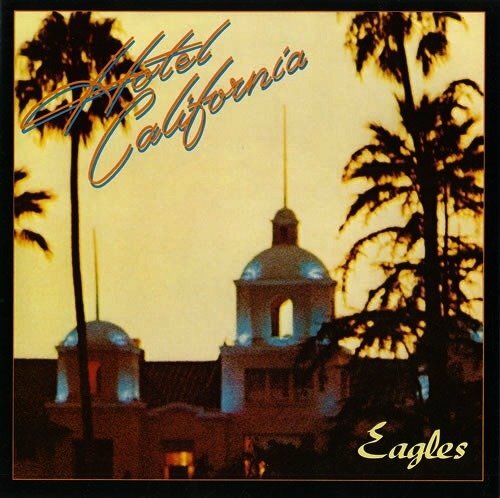 How perfect is the Hotel California analogy for Trump's alleged troop withdrawal? Is he going to "check out" but "never leave"? "But for now the United States will have to accept that it is creating a far more volatile situation than the one Trump inherited. That will mean new wars and new transformations, which could draw the U.S. back into the region. As Obama learned, you can check out of the Middle East but it doesn’t mean you can leave"
New wars and new transformations.... interesting? With those opening lines we find ourselves again mired in the Syrian situation- Where the US has claimed they are “checking out” but like Hotel California they can never leave. Unless they are forced out? But, this idea of just walking away is not credible. Or to put it another way.. I’ll believe it when I see it. “the entry of the Peshmerga came with a push from Washington, to ward off any military operation by Turkey.” He added that the Peshmerga would protect and guarantee that no disaster occurred. According to Osman, the entry of these forces would compel Turkey to stop their intervention in the area, or at least would delay their entry for a period of time because the Peshmerga would defend their borders, and would also defend the area"
So much for the idea of Turkey and the US just swapping out places. Though the relocation of these US trained fighters can allow the illusion of US troop withdrawal to be presented. "The US will continue to conduct air strikes on Syrian terrorists until the full pullout of troops from its territory," Pentagon Spokeswoman Commander Rebecca Rebarich told TASS on Thursday. "As long as there are US troops on the ground, we will conduct air and artillery strikes in support of our forces," she stated. "We will not speculate on future operations," the spokeswoman added"
The continuation of airstrikes makes sense when one considers the US moving into Syria of the “Rojova Peshmerga”- Most probably the US is going to give their additional fighters air cover against any Turkish advancement so the US can hide the dust cloud made by the clashing of two NATO nations. 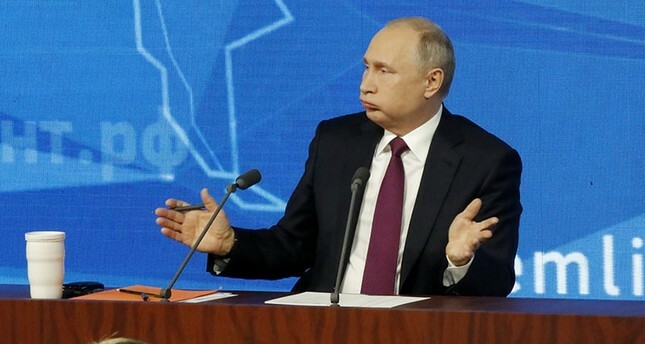 Putin commenting on Trump ordering U.S. troops home from Syria: "I don't know what US withdrawal from Syria means, Americans have been in Afghanistan for 17 years and every year they say they're withdrawing." I'm not quite sure how so many in the alt news are so certain this claim should be taken at face value? Putin can't even take it at face value. "France announced that it will maintain its military presence in Syria in order to continue its war against the Islamic State (ISIS). This came a day after the United States announcement that it will begin to withdraw its forces"
6. M.K. Bhadrakumar: 20 Dec 2018- Syrian Pull Out a Game Changer??? The question marks are all mine. "The spectre that haunts Trump is of body bags of American soldiers killed in Syria coming home, which of course, will be spelling doom for his re-election bid in the 2020 election. Trump understands that there is a Russian-Turkish-Iranian convergence to evict the US forces from Syria and the only way to counter it can be by committing boots on the ground in much larger numbers, which is course unrealistic. Meanwhile, the Pentagon has been pursuing an invidious agenda of creating a quagmire for the Russians in Syria and acting, therefore, as a “spoiler” in any whichever way it can to frustrate the Russian-Turkish-Iranian efforts to stabilize Syria. Time and again, it became apparent that the US forces in Syria maintain covert links with extremist groups, provide cover for them, and disrupt the operations by the Syrian government forces fighting terrorism. The US role in Al-Tanf on the Syrian-Iraqi border is dubious, shameful and cowardly, to say the least. Quite obviously, the Mission Creep pursed by the Pentagon commanders have come to a point where real danger exists today of direct clashes erupting at any moment involving the US forces arrayed against the Russian / Turkish / Iranian / Syrian forces. Equally, Trump cannot be unaware that there is growing uncertainty about the Saudis bankrolling the US operations in Syria, what with the growing tensions in the US-Saudi relations over the Jamal Khashoggi affair. Qatar and Jordan have already pulled out of the “regime change” project in Syria. Suffice to say, Israel is the only American ally in the region, which is today keen on an open-ended US military intervention in Syria. "Of course, interest groups and war profiteers (“military-industrial complex”) in the US will castigate Trump for his decision to order the halt of the gravy train. But their main argument that residual terrorism still remains in Syria is a phoney one bordering on rank hypocrisy. For, it is a matter of time before Russia and Iran and the Syrian government forces with their affiliated militia will make mincemeat out of the terrorist groups that have taken shelter in the US- controlled zone in eastern Syria as well as destroy the US-backed extremist groups ensconced in Idlib. 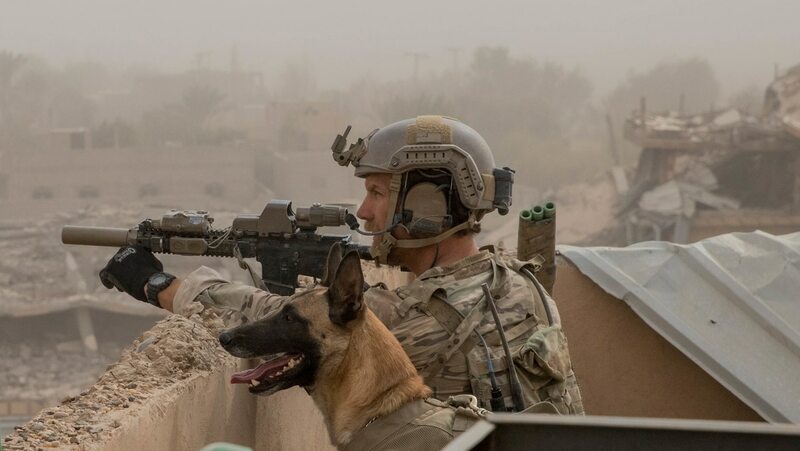 Plainly put, the fight against terrorism will be taken to its logical conclusion as soon as the US forces get out of the way and Pentagon is prevented from playing the spoiler’s role. Therefore, paradoxically, the decision to pull out from Syria and the rebooting of the Turkish-American alliance can only improve the US’ capacity to influence the Syrian peace process, and regional politics in general. Interestingly, Trump’s announcement came just as agreement was reached in Geneva on the composition of the committee to write a new constitution for Syria, which is a defining moment in the UN-brokered peace process." One of the innumerable news items I simply didn’t have time to get to, so better late then not at all. The UN tried and tried to interfere and intervene and interrupt on behalf of the Usreal team, judging by the news reports. Is it any wonder I detest the UN as much as I do? "The three self-appointed guarantors of the Syrian peace process – Russia, Turkey and Iran – have spurned efforts by the UN to change the composition of a committee due to write a new constitution for the country. The 150-strong committee, due to start work next year, could pave the way for UN-supervised elections and a possible peace process that would encourage millions of refugees to return to their homeland. The agreement on the committee’s formation was formally reached by the three countries on Tuesday in Geneva and the proposals passed to the UN special envoy for Syria, Staffan de Mistura, for his endorsement and for consideration by the UN security council on Thursday. The Geneva agreement was signed off by the Turkish foreign minister, Mevlüt Çavusoglu, his Russian counterpart, Sergei Lavrov, and Iran’s Javad Zarif, underlining how the west has lost control of the Syrian crisis to the trio of countries in the so-called Astana Group. Without taking questions, Lavrov read out a brief statement saying the three countries believed the committee could start to meet in Geneva early next year and would lead to “a viable and lasting Syrian-owned, Syrian-led, UN-facilitated political process”. 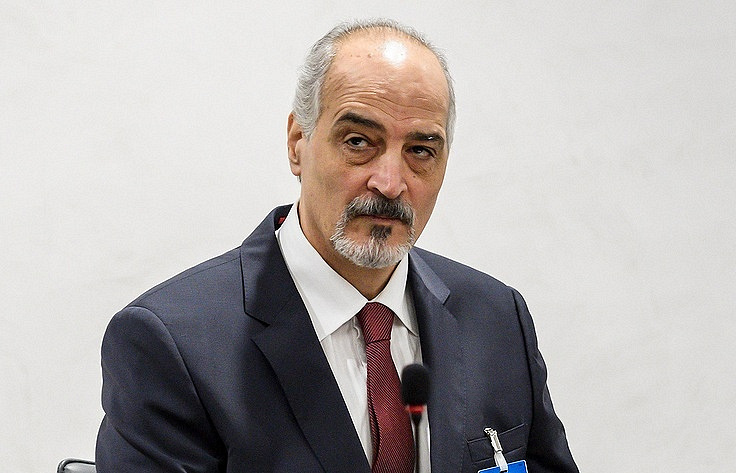 The UN said Russia rejected five names that De Mistura wanted to add to the list, and the envoy’s absence from the brief press conference did not bode well. De Mistura is said to be under heavy pressure from the trio of countries to accept the makeup of the constitutional body, but he may leave the decision to UN security council in New York on Thursday. Despite regional cooperation, which should be lauded, DeMistura attempted to interfere in the process and then states that the last word is with the UN. The deployment of an S-300 long-range surface-to-air missile system has reduced US-led coalition air activity over northeast Syria, Deputy Prime Minister Yury Borisov told reporters on 17 December after a visit to the Middle East country. While Russian news organisation presumed this was a reference to one of the S-300P-series systems that were officially transferred to the Syrian military in September–October, Borisov specifically referred to a different type that is only in service with the Russian military. “After only one battalion of the S-300V4 air-defence system entered combat duty, the intensity of the flights made by the coalition’s air forces in northeastern Syria has significantly decreased,” Sputnik quoted him as saying. Repeat after me "The US is not withdrawing troops from Syria"
Say it again. Let it sink in. "The US is not withdrawing troops from Syria"
Accept that reality. Multiple bases. One more then 500 acres in size. Airstrips galore. Free passage between Syria and Iraq for years "The US is not withdrawing troops from Syria"
Embrace the facts. The reality. Military Times: "Here’s what may be driving a US troop withdrawal from Syria"
"The US is not withdrawing troops from Syria" That "news" is just your perception being managed/manipulated.
" Reports of a total and immediate withdrawal of U.S. troops from Syria come amid heightening tensions — and growing risk of military confrontation — between the U.S. and Turkey. A confrontation between the U.S and Turkey, officially NATO allies, would create a geopolitical crisis at the heart of the world’s most powerful military alliance." I'm going to repeat the paragraph directly above again, as your perception is being influenced by the media, while reminding you all ""The US is not withdrawing troops from Syria"
Turkey and the US have been glaring at one another for years. And there have been exchanges of fire and other incidents already between the two erstwhile allies. March 2017:NATO Fracturing at Manbij? US Reinforces Manbij to Defend From Turkish Attack?? December 13/2018: Turkish Airstrikes Hit Sinjar, Iraq- Pentagon Warns Turkey. Again. Penny.. "Will the US, using their Kurdish proxies and all those special forces embedded in Syria, take up the fight against Turkey. While hiding through the obfuscating media that it's NATO vs NATO? We shall see"
this was supposed to be the follow up to Thursday's post- better late then not at all. Turkey's strikes on Sinjar were intended to impede somewhat the resupply of the PKK/YPG in the NE of Syria. Not cut it off entirely, that's not possible the US has too many bases and airstrips, but, the coalition was regularly driving in 100's of vehicles and tons of munitions via Sinjar- this move by Turkey should make it more difficult and it's a bit of a warning to the US..
Pt: 1- History is Written By the Winners.Always.